This agent and Microsoft Azure OMS Log Analytics enable you to analyze performance, sizing and user experience deeply, at each time frame in the past and for the lowest expenses. Use the power of Azure Log Analytics with this agent for your RDS and Citrix Worker – servers and desktops. You don’t need an SQL server for monitoring data nor additional infrastructure. 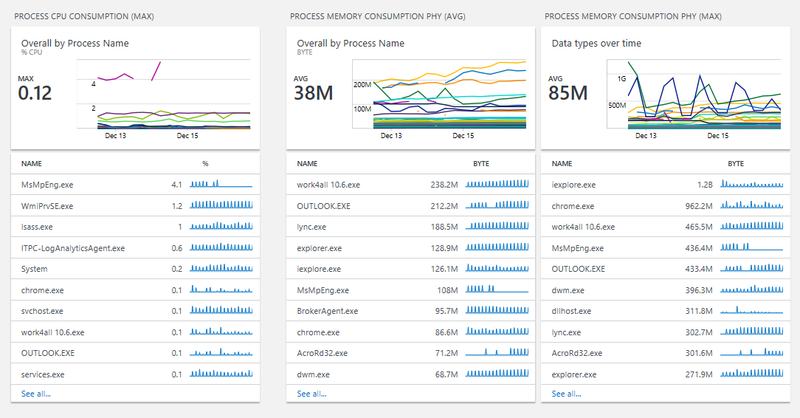 Collected data are analyzed and shown in your Azure workspace. Data are collected from each Microsoft RDS and Citrix worker – each minute. Works for worker on-premises as well as in Azure. Deploy this single agent to your worker. You don't need any other infrastructure components. All relevant data are sent to your workspace. 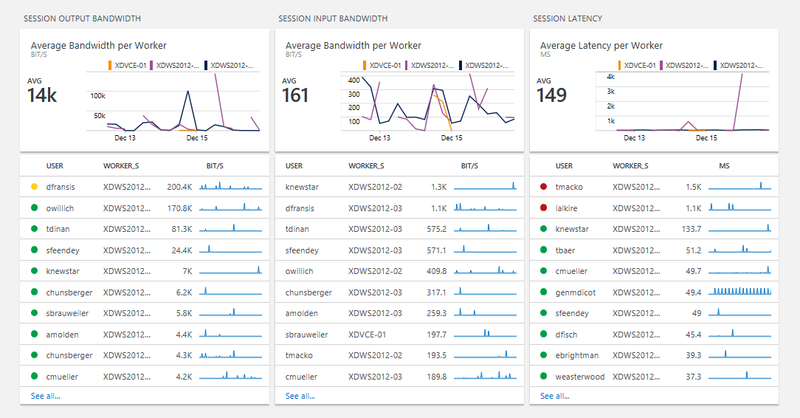 Azure Log Analytics comes scalable, durable, highly available and as a service. You don't need a complex big data infrastructure on-premises. A lot of tiles and views are ready to use. Note: You can add further views and edit the existing ones. Gives you all information about sessions. This includes e.g. bandwidth and latency for each single user and session on your site. Gives you detailed information about performance data of the worker. 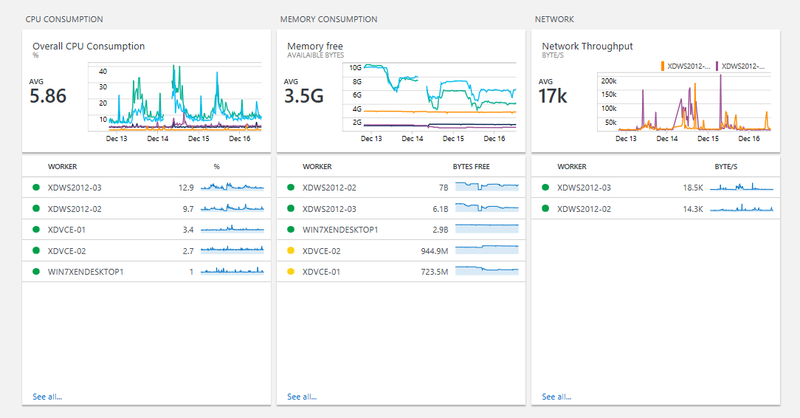 For example: CPU usage, memory consumption, etc. Shows combined data focused on applications. 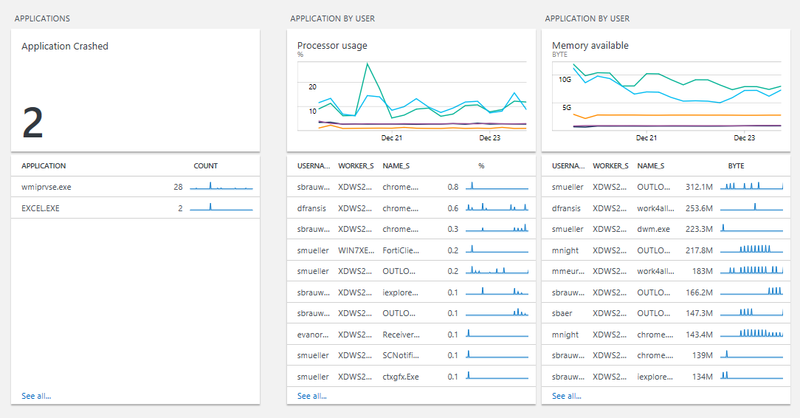 Microsoft RDS / Citrix site wide usage of application, application crashes, capacity data for further plannings and more. Do you want to know more? Go to the facts!